Dubai never fails to amaze people with its iconic attractions, exhilarating theme parks, cultural and architectural marvels and the adventurous activities. If you are an adventure junkie who loves the serenity, spills, and thrills of the water Dubai has something special stored for you. Are excited to know what? Let us read the blog further and see what Dubai has to offer you!!! You get to escape the hassles of the city traffic and take the most alluring experience of cruising past the most amazing skyline to sightsee spectacular views of the city. 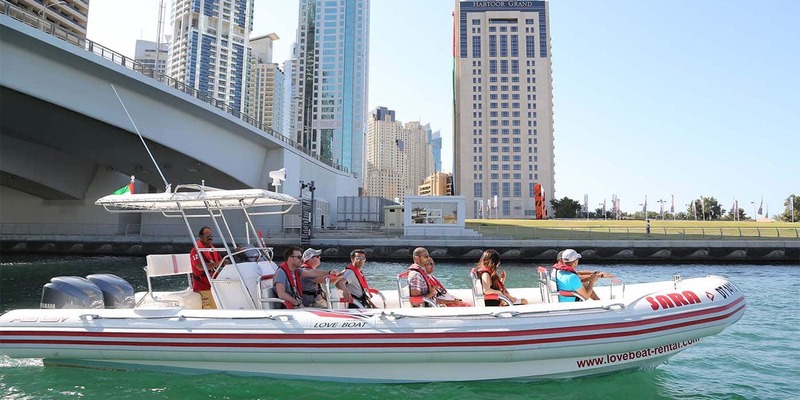 The yellow boats tours Dubai ride will let you cruise by the man-made Palm Jumeirah admiring the luxurious villas and astounding resorts while relishing the best-ever views of the seven-star Burj Al Arab along with the majestic Palm Atlantis Hotel. Moreover, as you drift along the Dubai marina you will be awestruck to see the stunning architectural marvels including Princess Tower, Jumeirah Beach Residence (JBR), Twisted Tower, and Dubai Marina Yacht Club. Make sure to keep your cameras ready to capture some magnificent pictures against the immaculate backdrop of Dubai’s iconic landmarks. To sum up skyland tourism can just say that yellow boat is 90 minutes full of moments that will create the lifetime memories. 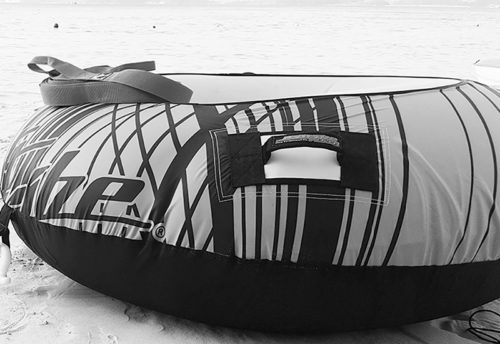 Experience your heartbeat pounding as you boats tours ride on the giant inflatable banana craft pulled by a powerful speedboat. Hold on tight as get you crash through the breakers into the warm blue waters and bump over the chop and wave. The people of every age can enjoy the thrilling ride in the midst of the dazzling water. Apart from hitting against the water waves, getting wet and laughing out innocently, you may also immerse in the beautiful views of Dubai’s coastline in the background. If you desire a more exhilarating and adventurous version of banana boats tours ride then Fly fish ride is must to do activity for you. A fly fish is an inflatable raft, shaped like the alphabet ‘E’ that will make you fly high, move sideways, and shake all along in the thrilling waters of this city. It is truly a fun-filled experience where you experience unspoiled fun throughout the ride, screaming, laughing and frantically holding to remain on top. Skyland tourism provides you with unconventional venue for different corporate events like grand opening, product launches, annual conferences, shareholder meetings and so on. We manage all the arrangements that includes from venue set-up, projector, sound system and other technical needs, while the food can be arranged as per requirement. Boat Tour is a great place to celebrate occasions like birthday parties, anniversaries, engagement parties, bachelor/bachelorette parties and so much more. They can bring their own food or we can arrange a catering service as per client’s convenience. Your family and friends can also enhance their enjoyment as they can swim and sunbathe while relishing the beauty of the sea. Now you definitely know that these activities worth your time and money immensely. To make your experience more magnificent and create lifelong memories make sure to book these tours with Skyland tourism. We are here to help you in taking the most amazing experience of your life seamlessly. Dubai is a very famous city of UAE and is known for number of beautiful places present there. It is basically known for its tourist attractions. 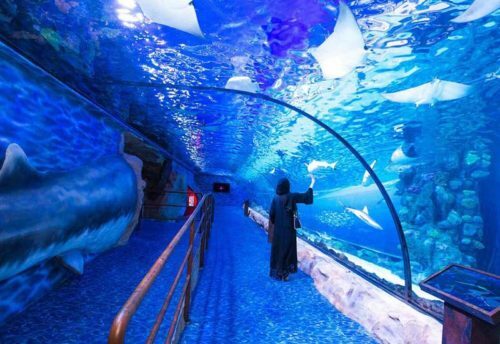 Dubai has lots of fascinating choices for tourists that embody theme parks, discotheques, night clubs and fine dining restaurants that are best to give you with an unforgettable vacation experience. However, do not leave Dubai before making an attempt at skiing on the four hundred meter long indoor incline. Choose a guided shopping tour of the town which will stimulate the shopper inside you to snaffle exciting deals on jewelry, shoes, clothing, perfumes and plenty of different things. Whiff the tantalizing aroma of spices in its out-of-doors markets or spice souks that is sure to leave you intoxicated and cause you to come back for again. 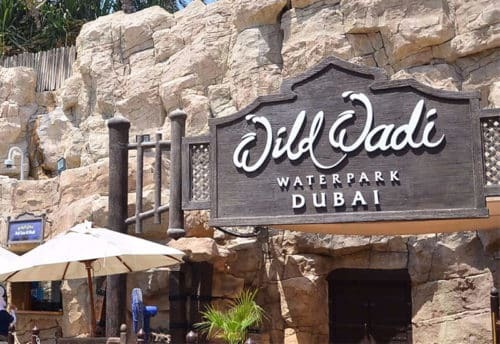 If you are additionally trying to own fun and journey throughout your vacation then a Dubai vacation deals offers you sufficient smart reasons within the 90’s Dubai skilled an incredible accomplishment. Once Jumeirah Beach building and Burj Al Arab were created on the land of Dubai, the full world was astonished. These are the hanging constructions that have offered enough impact for touristy in Dubai. There also are several reasons why individuals currently choose Dubai vacation deals. 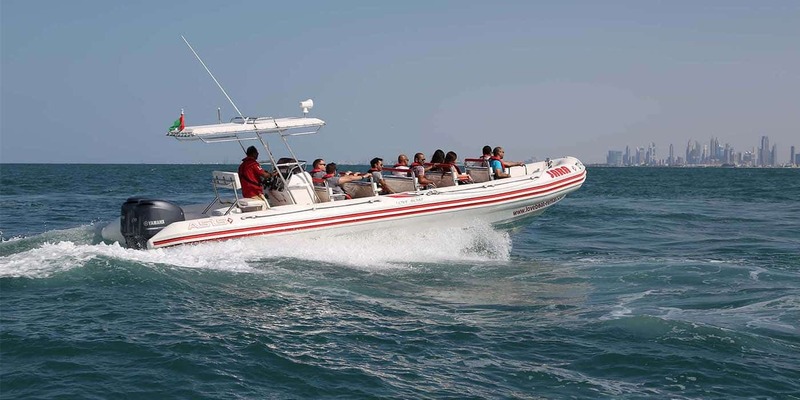 One of the main reason can be the boat tours in Dubai. Yes at the starting of this content you must have read about all the amazing experiences of Dubai but from here I have to tell you about the boat tour in Dubai. These tour excites people a lot as they get a chance to travel in sea in different kinds of boats. Our first tour is a super tour. We offer a 75 minutes of boat tour in which we will take you to three places that is Burj Al Arab, Palm Jumeirah and Atlantis the Palm. This tour is offered in a number of timings. Second tour is our ultimate tour, which is of 90 minutes that is of 1.5 hours in which we will take you to Dubai Marina, is Burj Al Arab, Palm Jumeirah and Atlantis the Palm. Another tour is a sunset tour in which you get to experience the sunset. Just imagine traveling in a sea with a view of sunset. 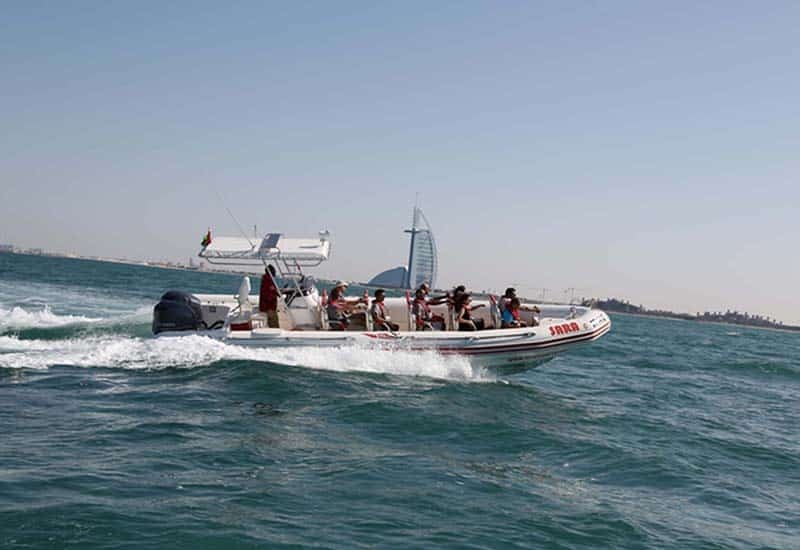 In this tour we offer a 75 minutes of boat tour in which we will take you to three places that is Burj Al Arab, Palm Jumeirah and Atlantis the Palm. Last tour is an Evening canal tour which is of 120 minutes in which we will take you to Burj Al Arab, Burj Khalifa, Business Bay and Water Canal. Of course this tour will be in evening timings. So these were all the tours. These all tours will be in boat. You can stop on certain places to take some aesthetic pictures. You will also be served with some refreshment. boat tours go on this link and select the kind of tour of your choice!